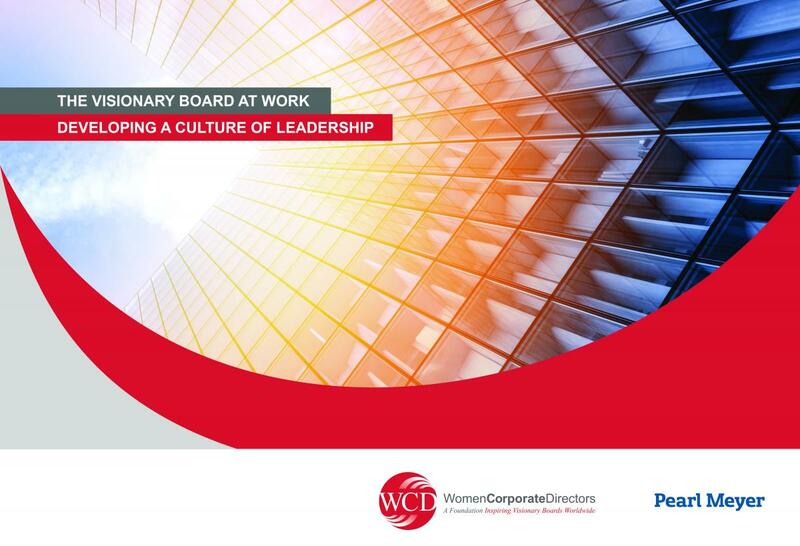 The 2017 WCD Thought Leadership Report explores how boards can encourage a culture of leadership. The mission of the WCD Thought Leadership Commission is to advance key boardroom issues beyond theoretical discussion to practical, actionable recommendations. This year's Thought Leadership report, authored by Pearl Meyer, features insights from a global commission of directors and practitioners who believe the alignment of a sound business strategy and a thoughtful leadership strategy is key to creating long-term value for an organization’s stakeholders. A business strategy defines what a company will do and its leadership strategy outlines how the company will bring that vision to life. With this report, we uncover the four primary approaches forward-thinking directors can take now to further develop a carefully planned leadership strategy and encourage a supporting corporate culture in the organizations they serve: think beyond the C-suite, nurture culture at the core, embrace the new normal, and lead by example. This year's Thought Leadership Commissioners began with the premise that company success relies on both a robust business strategy and a strong, talented team to deliver it. 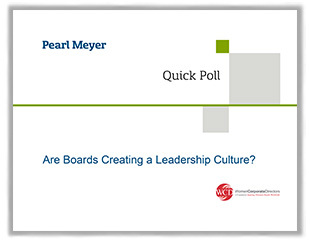 While boards are deeply involved in working with senior management to assess, refine, and execute the company’s business strategy, we wanted to know more about the visionary board’s role in guiding or overseeing talent and/or leadership strategy and how directors are approaching this challenge. The results of our short survey of 115 board members helped inform the report and a summary of the data is presented here. NEW YORK—May 10, 2017—In the wake of recent scandals in the automotive, financial services, and airline industries, a new report from WomenCorporateDirectors Foundation (WCD) and executive compensation consultancy Pearl Meyer provides insight on how boards can advance a company’s business strategy by cultivating the right leadership strategy, talent development, and corporate culture.